Findings have revealed that construction is the industry with the worst gender pay gap in the UK for 2018. The sector employs around 3 million people in the UK, only 13% of these workers are women, and they are paid 12% less, on average, than men in the same role. This needs to change and, with research like the McKinsey & Company study that proves employing more women leads to increased profitability, construction businesses are quickly realising that more female workers would benefit the sector drastically. We sat down with 5 young women who are making names for themselves in the construction industry. Here’s their take on what it’s like to work in a male-dominated field and their views on where they see the industry progressing in relation to gender equality. 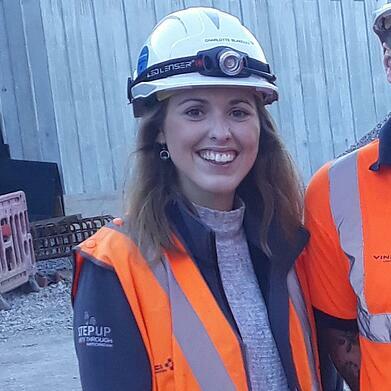 Phoebe Beatson, Quantity Surveyor at Balfour Beatty: I fell into it, really. I come from a law background and I was working in various law firms, but not really enjoying it. 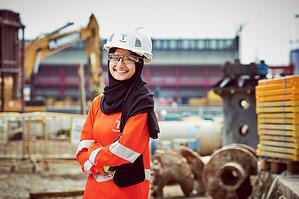 Prior to these jobs, I worked at Bouygues Construction for a year after finishing my Law degree. I was also a recruiter for white collar construction and that’s how I initially became aware of construction industry roles. In late 2015, I applied for a contract role that I thought was law-based, but it turned out to be more of a QS (quantity surveying) job and I really enjoyed it. That experience encouraged me to apply for more QS roles. I landed a temp job at Balfour Beatty in April 2016 that progressed into a permanent role, and I haven’t looked back since. 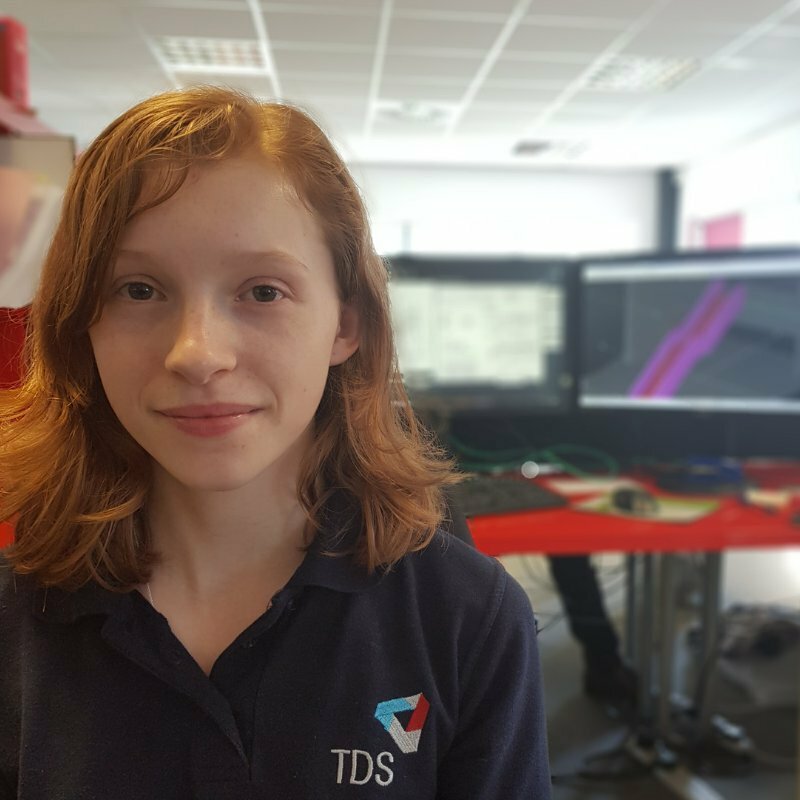 Charlotte Blakeley, Assistant Site Engineer at VINCI Construction UK: At school, I always had a keen interest in Design & Technology, Maths and Physics. My natural aptitude and love for these subjects steered me towards an engineering discipline. After undertaking a few different work experiences, at an accountancy firm, an architect’s office and, finally, with structural engineers, I knew for definite that civil engineering had everything I wanted in a career – maybe it was something to do with playing with Lego and my Railway Set as a child! It combined the constant need for problem solving and tackling issues head on on-site, with the perfect balance of an office job mixed with outdoor working, topped off with a high level of collaboration and team work. I then studied Civil Engineering for 4 years at the University of Warwick, in which time I also gained sponsorship from the Institution of Civil Engineers as part of the QUEST Scholarship. As part of the sponsorship, I undertook work experience every summer with VINCI Construction UK, which only emphasised by love for this industry. Following University, I was lucky enough to be offered a job as an Assistant Engineer with VINCI Construction UK. 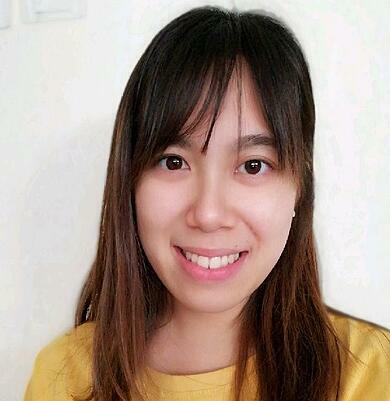 Kimberley Fok, Project Manager's Assistant for Gatwick Airport’s Pier 6 Western Extension at Bechtel: I graduated with an MEng in Electrical Electronic Engineering and was planning to join an engineering company. I did not realise I had been assigned into the construction business after being recruited by my current employer. However, I started to enjoy working in this area less than a month after I started. 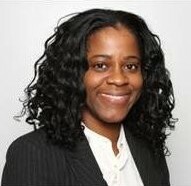 Melonae Thomas, Senior Project Manager at Lendlease: Both my dad and two older brothers are engineers, so conversations around the dinner table were always filled with a tale or two on their experiences/ challenges they faced working on a building project or at the aluminium processing plant where my dad worked. They obviously spoke about the challenges, but I also heard about the camaraderie on site and how rewarding it was to work in an environment where a tangible product was created. 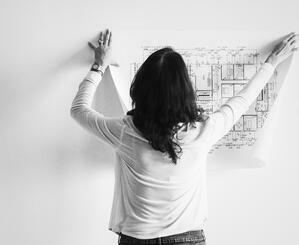 Vasiliki Papagiannopoulou, Graduate Project Manager at Faithful+Gould: It all begun in school, with my passion for art. I always enjoyed creating and realising ideas into form. Expanding my love for art I studied architecture, where I became inspired by how form could be utilised to shape the environment. Travelling around the world and working two years in industry, as a Part 1 architectural assistant, I enjoyed not just creating and shaping experiences but being on site and working together with a team of consultants, contractors and engineers to make a difference for clients and the public. To become part of an industry that transforms people’s experience of the world, I undertook my postgraduate degree in project management and I am now working for SNC Lavalin’s Faithful+Gould Business. Did the lack of women in the industry worry you at the start of your career? Phoebe: No, not at all. In fact, it made me want to join the industry more. As it’s a male dominated environment, I wanted to show the men that women could do it too. It was more of a challenge than a deterrent. Charlotte: For me, it was not even a consideration. The more people told me of the concerns they had with the gender balance, the more it made me want to do it to prove that it is possible! I was also lucky enough to attend an all-girls school throughout my education, where there were no gender stereotypes. As a result, that mentality was never inside me, encouraging my strong beliefs that I could be whatever I wanted to be! Kimberley: Yes, indeed. Especially not knowing most of the construction terms and not being able to socialise with the team at the start. They would often talk about football leagues. 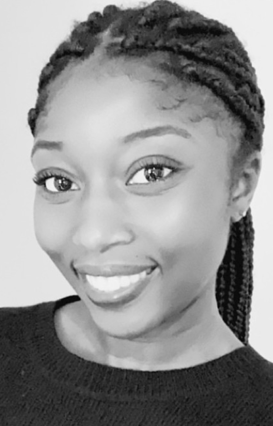 Melonae: Quite the opposite – I was excited to join the industry and felt a great sense of pride in becoming a chartered engineer. I’m sure that having family members in the industry has made a huge difference, particularly earlier in my career when everything was new. Vasiliki: Not at all, I have been fortunate to work within an organisation, Faithful+Gould, who values skills, results and commitment and is very supportive in coaching young members achieve their full potential. Phoebe: I work on site every day, usually arriving around 7:30 in the morning. The project that I’m currently working on will be from conception to completion and is due to end in December next year. As it is still in its early stages, there’s a lot of procurement to deal with. I also look after sub-contractors and make sure they’re working to the programme, ensuring that there are no problems that may be of financial or contractual detriment to my company. It’s very busy at the moment, which is great. Charlotte: As a Site Engineer working for VINCI Construction UK on a railway construction project no day is ever the same! My working day usually starts at 7:30am with a Whiteboard meeting where we discuss all the plans for the day with all subcontractors and engineers working in the area. This is a great opportunity to gather your thoughts and what is expected of you for that day, as well as understanding any likely delays to planned works that may be influenced by interface between subcontractors. Following this, many jobs could be required. My days could be filled with writing a Permit to Penetrate the ground by scanning the ground for cables and buried services before excavations take place, or inspecting sub-contactors work to make sure it is as per the design by checking the work and completing check sheets. I could also be asked to self-deliver work, for example helping a team of four or five install railway drainage, spraying on the ground where it is designed to be located, then excavating the drainage trench to the correct level and install pipes. In all, every day will involve me completing some paperwork to either monitor progress or help work to continue on-site, and also involve me wearing orange hi-vis, a hard hat to walk on to the site to help construct a fully functioning railway. Kimberley: My typical work day involves loads of interactions with different managers of the team. I need to consolidate our discussions and send notes from them to the client and internal management. I also spend time on site visits to get an understanding of the situation, particularly highlighting the workers’ difficulties so that I can ensure that safe and high-quality work is being produced. Melonae: A typical day is a bit of a myth for me - which is one of the reasons I most enjoy my current role. I’m currently working as part of the pre-construction leadership team on a large-scale high-end residential development, so my days are a mixture of attending and leading client workshops, design team meetings and engaging with proposed sub-contractors. No day is the same in construction! Vasiliki: What I really enjoy about my role is that there is a lot of variety. For example, my day can vary from being on site and dealing with a newly presented challenge to working in the office ensuring that reports and the project administration elements are completed; or my day can vary to running between meetings with a number of consultants to daily check-up calls with key parties. Is development important to you? And does your company invest in your career? Charlotte: It’s very important to me, and we have many initiatives as a company to encourage diversity including the FIR (Fairness, Inclusion and Respect agenda which aims to value the unique backgrounds and experiences of every employee and treat everyone fairly. There are also regular events promoted on the company intranet for LGBT+ and Allies, and for Women in Engineering events, both as part of VINCI Construction UK, but also in Construction in general. Women in Engineering Day, held each year on 23rd June has helped raise the profile of diversity and inclusion in construction both in work, by completing workshops, but also worldwide, with trending links and blog posts. Kimberley: Yes, it is. My company is very active in this sector and I am part of a committee within the company to promote this. The senior management is very supportive of us organising activities that create awareness among the employees. Melonae: Yes, it is important and not just professionally. It may sound cheesy, but I really love learning and it’s just as important to me personally, as it is professionally. Lendlease has been great, I joined the company after completing a masters in Concrete Structures and they immediately sponsored me to complete my Master’s in Construction Law and Dispute Resolution at Kings College. I’m currently focussed on developing my technical skills whilst strengthening my leadership skills. Vasiliki: It's very important to me. Faithful+Gould has numerous initiatives and training development programmes aimed at promoting women in the industry. Such as the Women’s Development Programme, the Women’s Professional Networking Group, several internal Yammer support groups for LGTBQ+ and dedicated Diversity and Inclusion team. 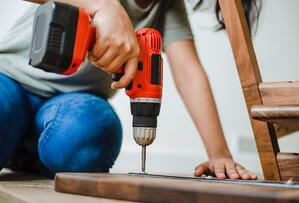 What one piece of advice would you give other young women starting out in construction? Phoebe: Don’t let the men intimidate you. Make sure you have a thick skin and, yes, some people will make jokes that they think are hilarious – I once had someone ask me if I had pink work boots – but you’ve got to roll with it and focus on succeeding. Charlotte: Don’t be afraid to get stuck in, stand your ground, and if it’s what you want to do, just do it! Kimberley: Don't be afraid and be confident in your abilities. Don't give up when people challenge you. Believe that you are special and able to help. Melonae: I’ve found having good mentors the most important way of learning and developing throughout my career. My advice to anyone is find someone who you admire professionally and who you’ll work well with. My mentors have a wealth of experience and have been a much-needed sounding board when I’ve felt “stuck” in my career. Vasiliki: Set clear targets for what you wish to achieve and seek a structured training programme to develop your skills. As long as you have a goal and a plan in place for how to achieve it, you will succeed! Are there any female role models you admire within your industry? Kimberley: Yes, Ailie MacAdam and Camilla Barrow. Melonae: I am particularly inspired by the diversity of female leaders in the industry. I’ve been lucky to work with several incredible women from a range of different backgrounds who work tirelessly to help create an inclusive environment not just for themselves, but for other women. 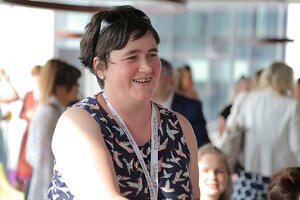 More specifically, my colleague, Lesley Blackman, is an excellent Commercial Manager who I admire tremendously. She consistently shows that we you don’t have to be on site 24/7 to make a success of a role, she does a 4-day week and delivers great results each time. Vasiliki: My role model is my line manager Benita Byrne. I have had the opportunity to work with Benita on numerous challenging projects with a variety of stakeholders. No matter how difficult the challenge is, Benita always aim to manage the team with a ‘soft touch’ project management approach, focusing on relationship management and bringing the team together to effectively manage difficult situations. 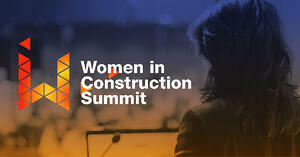 Are you hopeful for the future of women in construction? Phoebe: Yes, I know that a lot more women are doing construction-based degrees. 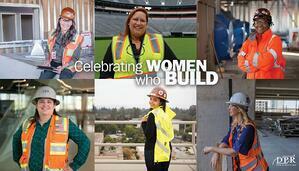 When I did my MSc in Quantity Surveying, there were many women in my classes which is great to see. Charlotte: Definitely! 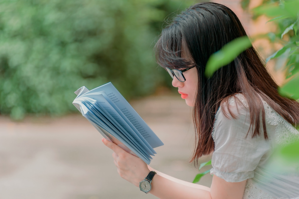 I work amongst many inspirational women every day, many at different stages in their careers, but who are all highly competent and treat equally to men of the same position. 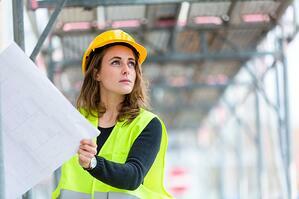 Whilst at University, I saw an increased number of women in each year group studying Civil Engineering. So, although the gender pay gap may seem large currently, I hope that in the coming years the young women will have been given the time to gain experience, confidence and knowledge to take on the top job roles in the country. The mentality of the workforce in the construction industry has already changed, and is continuing to change since I undertook my first work placement in 2014, and I am a firm believer that if you are competent at your job and are willing to learn from and respect those around you, you will reach the position you deserve no matter what gender, ethnicity or beliefs! Kimberley: Yes, I am. Since I have joined the industry, I have seen many successful women managers and I believe I could be one of them. I would love to lead a team in building something that helps the community to have a better living. Melonae: Absolutely! I am hopeful that the more we talk about the work we do – as women within the industry – the more other women will be inspired to take on roles. The industry is so varied and offers such a wide selection of careers that there really is something for everyone. Vasiliki: Definitely, across all my projects I have found that diversity within a team can make it much stronger; complementary skills come together to solve solutions quicker and promote innovation in decision making. Currently the industry has 13% women, so there is still a lot of potential for growth! Do you have anything else to add, or are there any stories you would like to share from your time in the industry? Phoebe: The men where I work are accommodating, not condescending. You get used to them calling you darling and sweetheart – in a nice way – and you have to take it with a pinch of salt. Overall, they are very helpful and encouraging. Charlotte: I would just like to add that it is not all plain sailing, and it is most certainly a tough industry to be in, no matter what gender. There have been many occasions where I have worked in zero degrees for 12 hours, or relentless pouring rain or the 30 degree heat of summer, or even covered head to toe in mud, and during those times you do wonder how people do this job for thirty or forty years. But, the other side of it is the rewarding aspect of seeing your small section of work completed on time and under budget, or trains running on the railway which you helped put in. This combination is what keeps the job exciting and rewarding every day and makes me feel proud to be a woman in engineering. Kimberley: Yes, being able to work in a construction team, I appreciate the effort of the construction work force who’s always at risk. I always remind myself to ensure everyone has a right to go back home safely by the end of the day. I am still a minor role, but I believe the little things help. Do make sure to follow our social media channels – we’ll be updating our LinkedIn, Twitter, and Facebook regularly in the lead up to our conferences. Click here to subscribe to our Women in Construction USA newsletter for 2019.